Have you got time to read two very short science texts? Both of them are surprising and wonderful. First text: a beautiful piece of writing by Lewis Thomas called ‘The Lives of A Cell’ (thelivesofacell) – you will thank me for this. 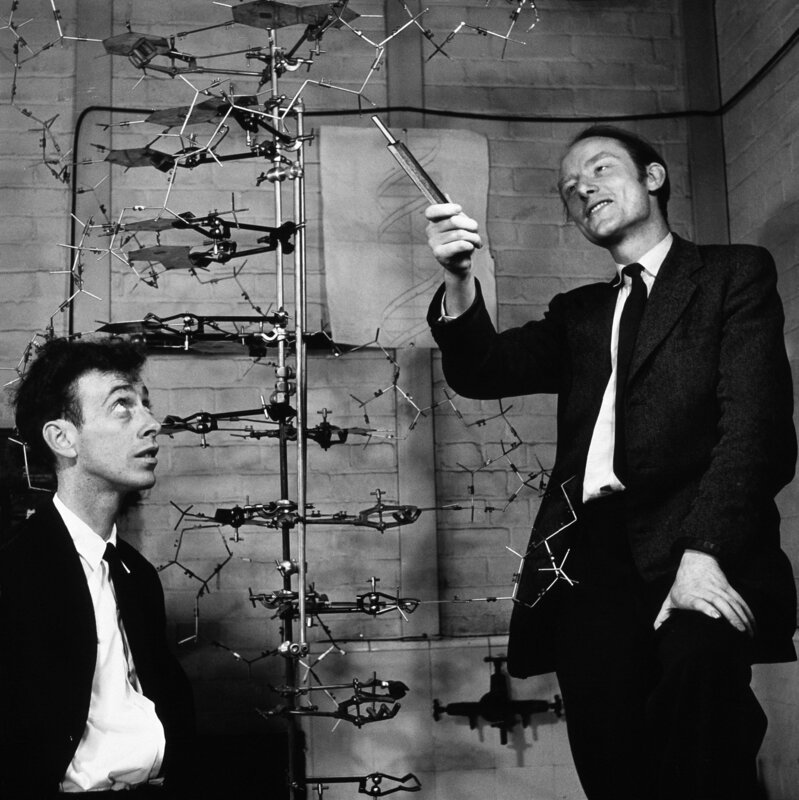 Second text: the original paper by Crick and Watson (watsoncrick) announcing the structure of DNA (it’s 1 side of A4 and it is readable – just read it). Do you agree that they require different skills to read? Would you use either or both of them in a lesson? Do schools teach young people the skills to read the first text? The second? I worry that our students are not taught how to read original scientific papers. I only know of one colleague who uses original papers as part of her teaching (@chemDrK – I would be very interested to hear from anyone else). Wonderful! this hit me like a giant ice meteorite/hail stone knocking me for 6. I teach at Cricks old school so will be sharing this. Oh no I failed to check it before posting. I spotted 3 omissions sorry! I particularly like your simile! Audience. My PhD was read by one person (me); the defense in a room, overlooked by Durham Cathedral, was on the subject of the External examiner’s research. The subsequent scientific paper had one reprint request (postcard without picture) from a chap in India. On return to Academia my highest reward was an appreciative colour postcard from a journal editor for the peer review work on some papers (much longer than the Crick & Watson one you provide which, to my surprise, reeks of modesty). In between I had the good fortune to see Nicollian and Goetzberger, authors of the paper, which set me on the R&D trail. To your question. Papers (now ?) take different forms – today’s 2 Google Talks are excellent and John O’Keefe provides a key insight about his Nobel Prize work which echoed the Xray CT Patent I studied way way back. Sir Godfrey was probably helped by the good people at THORN EMI to write something that kept commercial advantage for as long as possible; I am unsure whether people are helped to write scientific papers. But I do not worry – it is far easier these days to stumble across good work/people/..